John D. Robertson was admitted to the California Bar as a practicing attorney in 1976. 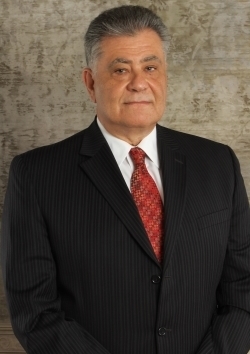 Mr. Robertson served as a federal prosecutor (Assistant United States Attorney) for a number of years, as well as a civil litigator in a major law firm before entering private practice and forming his own firm in 1982. Mr. Robertson has over 36 years of experience in criminal defense, as well as civil litigation, in state and federal courts. Mr. Robertson received his Juris Doctorate from the nationally ranked Boalt Hall School of Law at the University of California, Berkeley, and was Assistant Editor and author of the California Law Review at Boalt. Prior to attending law school, Mr. Robertson completed his undergraduate studies at the University of California, Los Angeles, where he graduated with Departmental Highest Honors. Mr. Robertson served as a Deputy City Attorney for Los Angeles, as well as an Assistant United States Attorney for the Central District of California in the Criminal Division of the United States Department of Justice. After leaving government service, Mr. Robertson joined the civil litigation and insurance defense law firm of Lewis, D'Amato, Brisbois and Bisgaard in Los Angeles, California as a civil litigator where he specialized in defending lawyers in civil malpractice suits. Subsequent to his employment at the Lewis, D'Amato, Brisbois, and Bisgaard firm, Mr. Robertson started his own private practice in 1982, and has remained in private practice since. 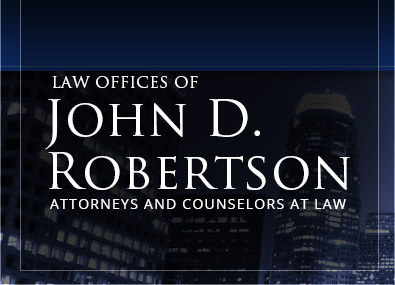 Mr. Robertson practices in, among other areas, civil litigation, including business, contract, real estate and professional liability civil litigation, and the area of white-collar criminal defense, both in state and federal courts, where his cases have included multi-million dollar frauds, organized crime and racketeering cases, theft cases, criminal immigration cases, customs smuggling cases, criminal copyright cases and criminal trademark infringement cases, computer software counterfeiting cases, wire and mail fraud cases, money laundering cases, drug cases, criminal tax cases, health care fraud cases, and real estate/fraud mortgage cases, among others. Mr. Robertson has been active in several state bar associations, has served as Of Counsel and advisor to a number of attorney colleagues and law offices, has worked with, and associated with, a number of attorney colleagues who have needed assistance with Mr. Robertson's litigation expertise, and has been a member of the Executive Committee of the Criminal Law Section of the State Bar of California, where he was Chairperson of the Federal Courts Subcommittee. Mr. Robertson also teaches courses on the law and analysis of contracts and contract issues for a program established by a Federal District Court Judge to prepare lawyer candidates to pass the California Bar Exam.